I love Bergenia! They are usually one of the very first plants to bloom in my gardens. I planted them along my front sidewalk, so I can admire them every time I pull in and out of the driveway. 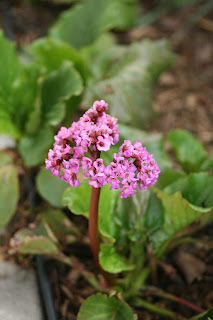 They have beautiful pinkish flowers in spring, that in my opinion hold interest long after they have dried up. 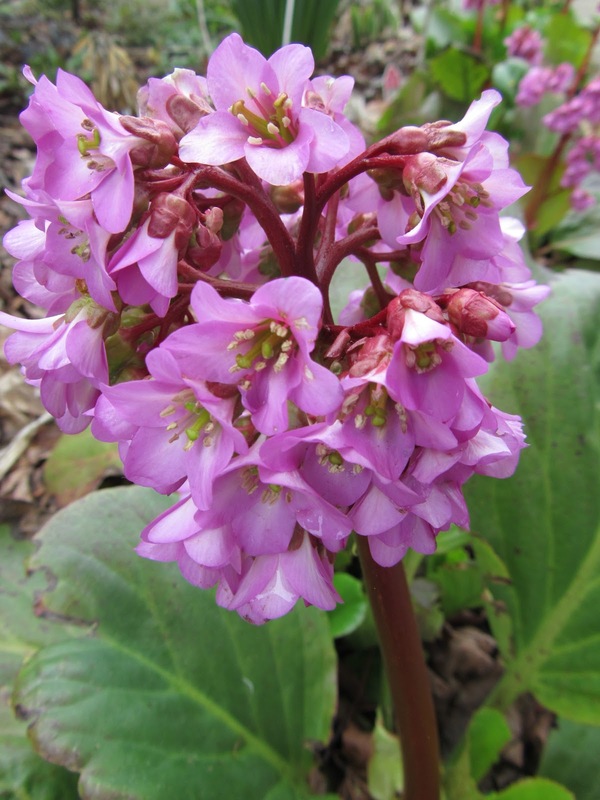 The leaves on Bergenia are very thick and leathery. Some of mine have reddish leaves in the spring and then again in the fall. They withstand everything, even my husband salting the sidewalk in the winter. They are also evergreen, so they hold their color even in the winter.